Kashif I. Chowdhry | Parkowski, Guerke & Swayze, P.A. Kashif I. Chowdhry, Esquire joined Parkowski, Guerke & Swayze in 2008 as a Director, concentrating his practice on commercial litigation, real estate, contracts, estate and guardianship matters. 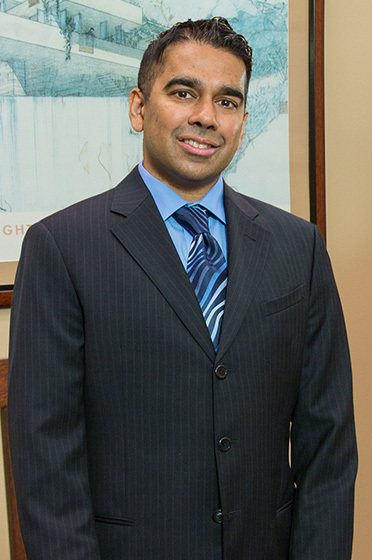 Mr. Chowdhry has represented various corporations, businesses and individuals in the Delaware State Courts with a particular emphasis on disputes before the Delaware Court of Chancery. Mr. Chowdhry has also been appointed to serve as a trustee and attorney ad litem in various matters before the Court of Chancery. Mr. Chowdhry graduated from Duquesne University in Pittsburgh, PA, earning both a JD and MBA with Honors and serving as a research editor on the Duquesne Law Review. Upon graduation, Mr. Chowdhry clerked for the Judges of the Sussex County Family Court and subsequently worked with a prominent Sussex County firm prior to joining Parkowski, Guerke & Swayze.